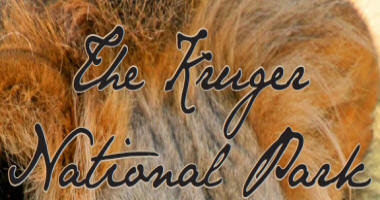 Would you like to visit the Kruger Park and see things from the air? Would you like to see behind some of those trees? Well you can ... with Google Earth (Trade Mark of Google Inc). Google Earth is a free program offered by Google. It allows you to see any place on earth from a satellite's perspective. There is one drawback which is that the resolution in many places is still not really good enough for close inspection but it is a wonderful program nevertheless. Take a look at Skukuza camp from the air and you'll be amazed how big the place is. Here's a nice example (click to enlarge) that I created for an article about the Olifant's Gorge and the breeding grounds of the Nile Crocodile that are threatened by the Massingiri dam enlargement due to be completed in October 2006. This image is showing the same detail as the aerial but on a traditional map. Which do you prefer to look at? I'm sure your answer is the aerial view because it allows you to see what is really happening at that point ... a river does join the main river, the road (which is the S47 by the way) does run very close to the river bank, there are not too many tress to obscure the view of the river, the river is mainly a dry bed etc etc etc. This aerial view does not replace the map but it does augment it very well. 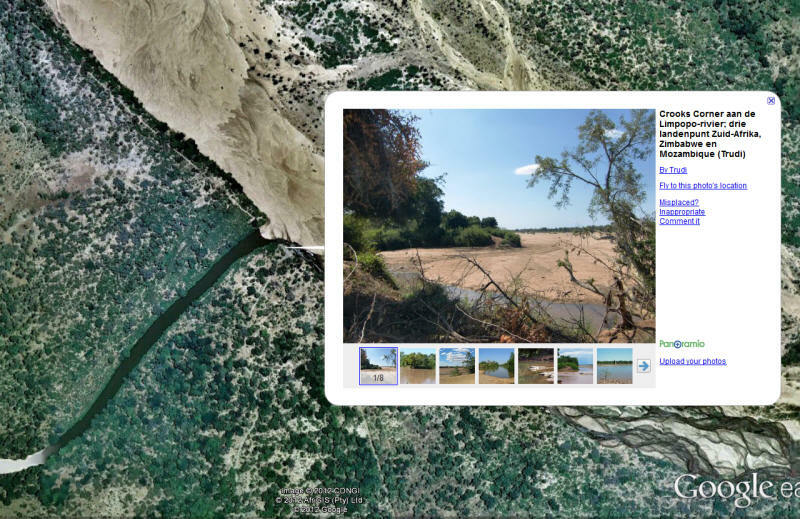 Do yourself a favour take a virtual air tour around the Kruger using Google Earth. You'll enjoy it. The yellow line on the image is the border (Mozambique and Zimbabwe). 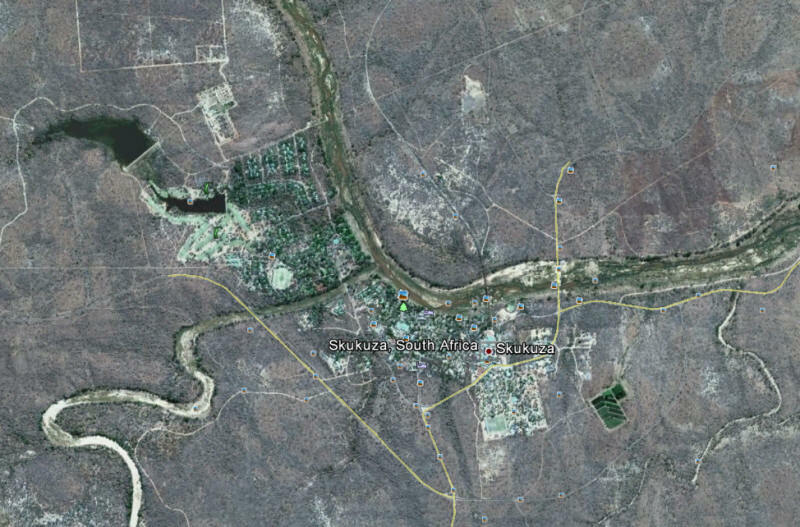 See the road down to the turn-around point right at the confluence of the Limpopo with the Luvuvhu River? Notice it goes through quite dense treed areas?